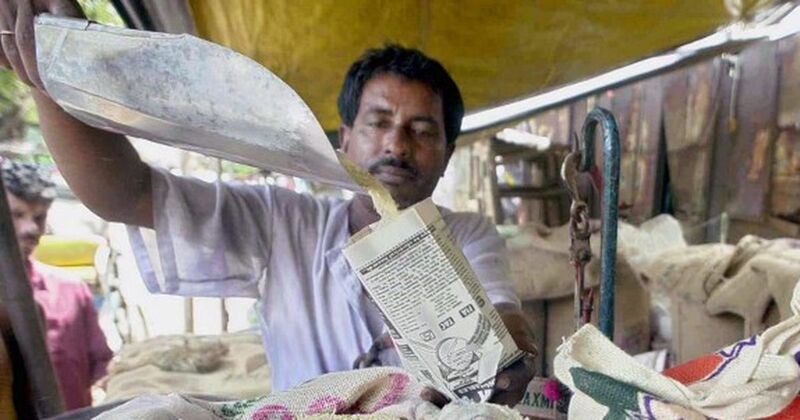 Public Distribution System dealers have strict instructions not to distribute rations without Aadhaar-linked authentication. 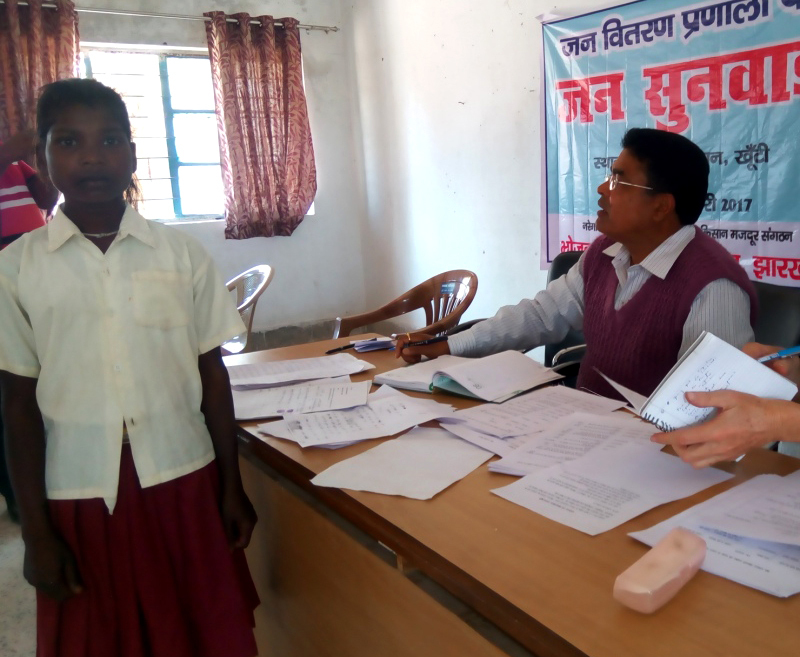 Kairi Tidu, aged 10 years or so, was wearing her school uniform at a recent public hearing on the Public Distribution System in Khunti, Jharkhand, because she had nothing better to wear for the occasion. She explained how her family had been deprived of Public Distribution System rice during the last few months. Her parents have migrated to Hazaribagh in search of work, leaving it to Kairi Tidu to collect the monthly rations. Unfortunately, the point of sale machine does not recognise Tidu’s fingerprints, so the dealer turns her away. This is just one of many heart-rending testimonies we heard at the public hearing, held at the headquarters of Khunti block on February 9. Like Tidu, others explained how they had been deprived of Public Distribution System rations ever since Aadhaar-based biometric authentication became compulsory in the state in September. These included Karan Mahto (Card No 202xxxxxxx22), Yashoda Kumari (No 202xxxxxxx14), Bahal Mahto (No 202xxxxxxx75), Lebda Munda (No 202xxxxxxx82), just to mention a few. Their testimonies are corroborated by the government of Jharkhand’s very helpful Public Distribution System website. There is no trace there of any transactions for these households in the last few months. 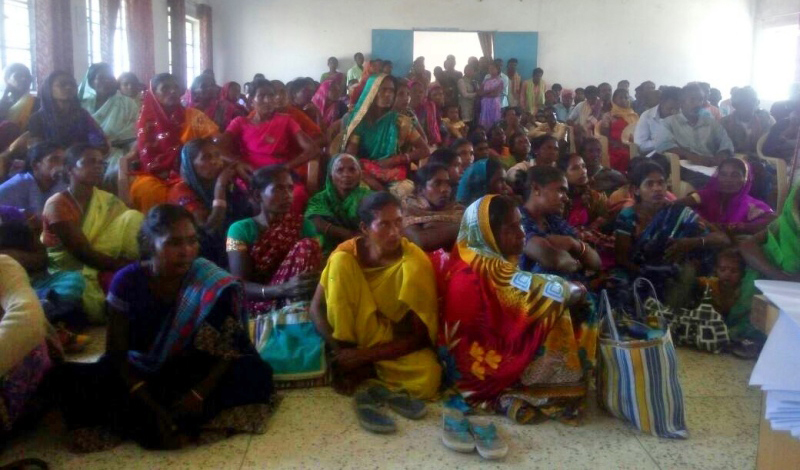 According to the website, the number of households that have purchased rice from the Public Distribution System in Khunti block last month is just 73% of the total number of cardholders. Kairi Tidu is unable to collect the rations meant for her household as her parents are migrant workers away from home, and the point of sale machine does not recognise her fingerprints. The local Public Distribution System dealers were present at the hearing, but they pleaded helplessness. They have strict instructions not to distribute rations without biometric authentication. The block supply officer, who was sympathetic, admitted that the victims had been deprived of a legal entitlement, but saw no way around it since he has similar instructions. There is no fallback facility in the event where Aadhaar-based biometric authentication fails. And it is not difficult for the system to fail – lack of connectivity, biometric failure, server problems, wrong seeding, or linking, of Aadhaar data, cryptic error messages (such as “invalid”) are some of the reasons that were reported at the public hearing. We also heard the findings of a small survey of the Public Distribution System conducted last January by the local NREGA sahayata kendra, a help centre for workers employed under the National Rural Employment Guarantee Act. The survey covered 225 households in four hamlets of Tirla gram panchayat: Belahathi, Simbhukel, Saridkel and Todangkel. This gram panchayat, very close to the block headquarters, is likely to have better connectivity than most other gram panchayats in Khunti. Yet, among 225 sample households, as many as 40 reported having been deprived of Public Distribution System rations for one month or more since Aadhaar-based biometric authentication was made compulsory last year. Further, 100 households reported having had problems with the biometric authentication system, leading to a considerable waste of time. For instance, when connectivity failures force them to make repeated visits to the Public Distribution System outlet. The testimonies were followed by a lively discussion of the Aadhaar-based biometric authentication system. The participants – hundreds of women and men from Tirla and neighbouring gram panchayats – were quite agitated about it. The block supply officer was at a loss to explain how an unreliable system with no fallback option can be imposed on people who have a legal entitlement to rations under the Public Distribution System. All he could do was to promise to raise the issue with the district authorities. But the district authorities are just following the instructions of the state government, and the latter, quite likely, is under strong pressure from the Union government to continue expanding the reach of Aadhaar-based biometric authentication despite its well-demonstrated inappropriateness. This fixation with Aadhaar-based biometric authentication is all the more misplaced as there are viable alternatives, where transactions are recorded offline (with or without biometrics) and then uploaded separately. Madhya Pradesh has (or at least used to have) an offline system for its Public Distribution System, which seemed to work quite well when we examined it last year. West Bengal is also introducing an offline system based on barcoded smart cards, which sounds promising. 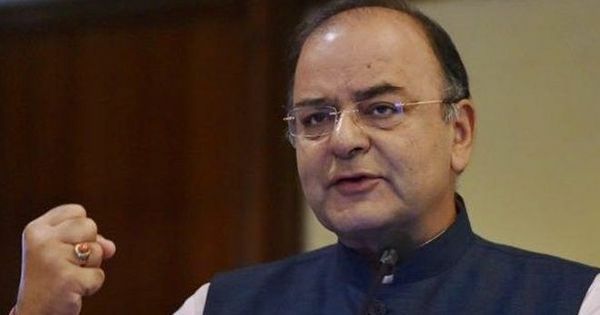 Jharkhand, for its part, has an offline system in some areas, but the plan seems to be to impose online across the board as quickly as possible. In Khunti block, according to the block supply officer, offline has already been phased out entirely. As the public hearing ended, we learnt that the Union government had just issued a notification making Aadhaar mandatory for the Public Distribution System across the country, yet another violation of Supreme Court orders on this matter. The mandatory seeding of ration cards with Aadhaar is not the same as making Aadhaar-based biometric authentication compulsory, but the former could certainly turn out to be a prelude to the latter. If so, there is a real danger of recent progress with Public Distribution System reforms being stalled or even reversed in the near future. Jean Drèze is visiting professor at the Department of Economics, Ranchi University.